told by the people who know them best. The following people all hail from a variety of backgrounds, but each encounters herbs in their daily life. From farmers and doctors to chefs and artists, they share their unique experiences to encourage people to discover the culinary combinations, medicinal uses and fascinating histories of common herbs. 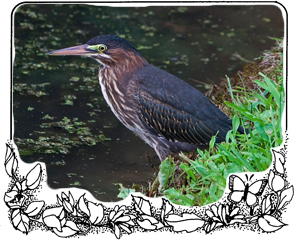 Anne named Green Heron Gardens after the flock of herons that roost on the pond below her herb gardens. 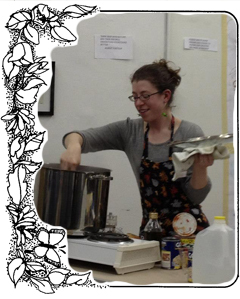 She offers seasonal courses on growing, preparing and using herbs at her homestead farm in Salem, West Virginia. Anne shares the importance of working with the seasons, and talks about a double-edged herb: Stinging Nettle, a prickly herb that is most beneficial to human health. 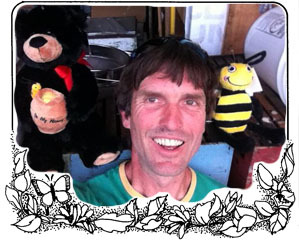 Ben’s background in forestry and sustainable agriculture brought him to the highland mountains outside Canaan Valley, West Virginia, where he is a homestead farmer, beekeeper and mead-maker. Ben shares his dream of operating a working farm, and tells us about Garlic: a common and easy-to-grow culinary herb with many health benefits. Claire and Rusty Orner, along with their children and a revolving cast of stewards, educate people at their farm in Jefferson County on the importance of conserving natural resources, thinking ecologically and promoting healthful, sustainable lives. 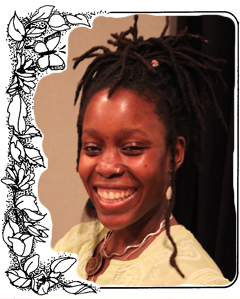 Cynthia-Grace joined the Herb Society as a child, when membership was a prestigious honor. She continues to serve the society as an experienced herbalist as well as an unofficial historian. Cynthia-Grace emphasizes the importance of natural education for the younger ages, and describes a feature of the Round Hill herb garden that kids of all ages love: the mint selection. 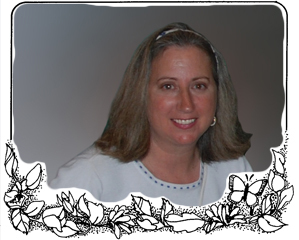 Jody is a natural health professional and ordained minister who combines the two fields to promote holistic wellness. Jody shares the importance of eating wild, regional herbs for health, and tells us about Plantain: an exceptional common herb that is a quick remedy for many backyard ailments. 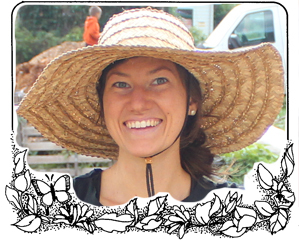 Kimberly started gardening a small inner-city plot in a community garden. 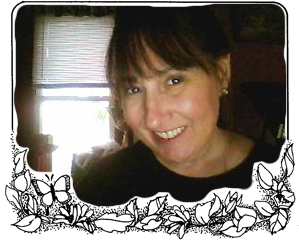 She quickly fell in love with all aspects of gardening and turned it into her career. She is currently in charge of all teen and garden programs at the Children’s Museum of Pittsburgh, where she teaches children and visitors to the museum about the process of and benefits to growing your own food. Kimberly shares her excitement about gardening, particularly the ease of perennial herbs, and touches on one of her new favorite additions to the garden: Borage, a delicious and beautiful flowering herb. 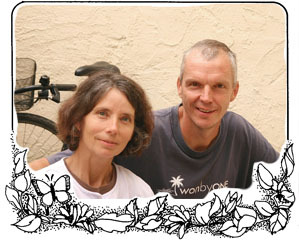 Maria founded Healcrest Urban Farm in the Garfield neighborhood of Pittsburgh in 2003 . She provides many goods and services on and from the farm, currently focusing on Healcrest’s popsicle stand, which sells herb-infused popsicles. Maria talks about her experience as an herbalist, the development of Healcrest urban farm, and about an herb she knows well: Lavender, a soothing and relaxing herb often used by healers. Maria’s artwork explores the natural world and how humans interact with it. She turned her passion for cooking into a collaborative art exhibit, in which she wrote a cookbook to use alongside her weekly farm-share box. Maria describes her love for using fresh herbs for food, talks about why a CSA share has changed the way she looks at cooking, and gives us a deliciously useful recipe for Pesto, which most often includes the classic cooking herb, Basil. Michelle has been working with herbs since 2004. She has turned her passion into professional ventures by founding two organizations that expose everyday people to the many benefits and uses of herbs. 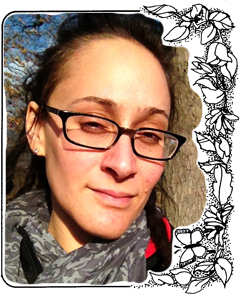 Michelle describes how all life works together with an introduction to permaculture, and describes an abundant herb that most people would classify as a pesky weed: Dandelion, a backyard herb that doubles as a handy medicine cabinet. 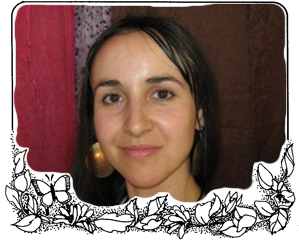 Born and raised across East and South Africa, Ola is an herbalist, dancer, author and mother, whose practice incorporates indigenous and western methods of healing and connecting with the earth. She began her herb shop in her home in Washington, DC, and now has a storefront in the Morningside neighborhood of Pittsburgh. Ola discusses her upbringing, the importance of language to help the process of healing, and the herb that is currently helping her the most: The Zulu herb Umckaloabo, a South African Geranium that is a potent helper of the respiratory system. Seth grew up in the country where his family raised farm animals, vegetables and herbs. 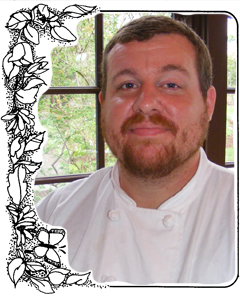 His love for natural foods brought him into the culinary industry, where he is currently the head chef at The Cafe at The Frick in Pittsburgh. Seth shares his experience growing up around herbs, his love of cooking, and talks about his favorite herb: Culantro, a common herb in the Caribbean where it is used for seasoning and marinating.